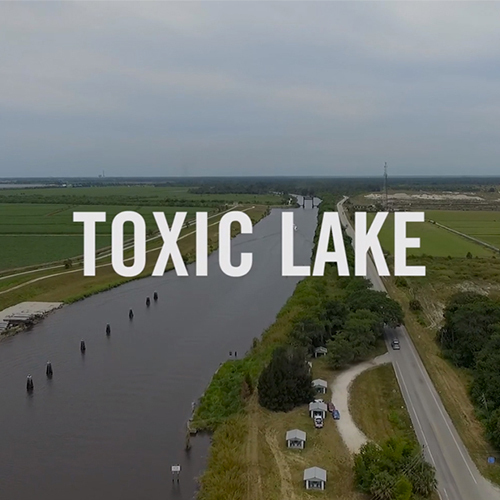 The Weather Channel took a trip to Florida's Lake Okeechobee for their latest documentary short titled "Toxic Lake". Their mission: a deep dive into the toxic algae that's poisoning marine life and swimmers, forcing beaches to close, and costing business owners millions of dollars. In this eye-opening video, they explore what's lead to the issues Florida's eastern and western coasts are now facing. As well as what changes can be made to slow the spread of the toxic algae, and maybe one day reverse its effects on our environment. Politicians in the state of Florida have been aware for some time of the dangers the run off from Lake Okeechobee was causing. In fact, there was a deal in place nearly a decade ago for Florida to buy back some 180,000 acres of land from farmers, as an attempt to return the lake to its natural state. Unfortunately, the economic crisis the country suffered over the next few years put that plan on hold, and the purchase has yet to be completed. Although, even if the land purchase were to go through there’s no quick fix. Estimates from experts including the Army Corps of Engineers, places a price tag of $1.7 billion dollars on an overhaul of the Herbert Hoover Dike. And a Comprehensive Everglades Restoration Plan comes in at more than $10 billion dollars and a timetable of 35 years. Two projects. 35 years. $12 billion dollars. There’s clearly no easy answer. What’s not really up for dispute though is that something must be done, and it must be done soon. Farmers, politicians, tax payers, and pharmaceutical companies must all come together to protect and preserve our environment.